A Quick Service POS needs to provide more than just fast service. From counter service to drive-thru you can order it, confirm it, bump it, park it, or pay it … We’ve designed the features for your operation! Combo meals made easy … Digital Dining automatically recognizes the menu items and adjusts the price. Our “suggestive selling prompts” stimulate new sales and create coupons to bring ‘em back again. Lines too long? Cars backed up? Use Digital Dining Handheld to “line bust” … Now that’s Quick Service! Whether for take out or delivery, Digital Dining has your online ordering needs covered! Our turn-key solution allows you to customize your online menu and post it on your existing website for use by both desktop and mobile web browsers. Don’t have a website? No problem! We can allow your customers to order online through your Facebook account! Pay online or instore for pick up orders, curbside, or delivery. Orders automatically print in your restaurant’s kitchen with customized layouts so that your staff never mistake an online order ever again! Finally, track all your online ordering to a separate profit center so you can accurately report on it later. You can create order profiles in the Back Office that run on the POS. When customers order certain items, the POS displays suggestive selling prompts right on the order screen. 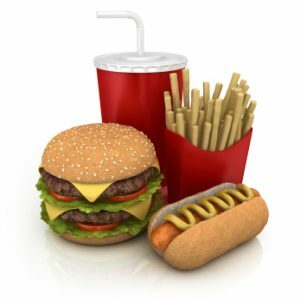 Many quick service restaurants have a significant delivery business. Your service staff can manage this with ease, tracking the delivery order with customer addresses, telephone numbers, and email addresses. Enter a customer once, and recall them every time they call for an order. Your kitchen will know it’s for delivery or takeout because Digital Dining can customize the prep printing in the kitchen so they recognize it every time! Track your take out orders to a separate delivery profit center, so that you can report on it at the end of the month to see how that facet of your business is progressing. Integrated credit and debit streamlines transactions making them more efficient, prevents server entry errors, can reduce payment fraud, and practically eliminates the time to reconcile electronic payments. Armagh POS Solutions has multiple Canadian processors available that provide integrated credit & debit with “Tap & Pay” and other contactless payments like Apple Pay. Order components of a combo meal anywhere in an order using the dual mode Combo Meals feature. The POS sends the right items to prep and calculates the bill accurately. Need to stay connected to your quick service restaurant 24/7? Digital Dining’s optional mobile reporting app is for you! Download our app from the Apple or Google Play Store and connect to your restaurant’s data stored in the cloud whenever you need information. Improve your mobile control by assigning a variety of reporting criteria and receive automatic alerts for key metrics such as the total # of checks, tables, sales, voids, refunds, and more. On or offsite, with Digital Dining, you’ll never miss a beat! Take control of your labour costs! Digital Dining allows staff to clock in right at the POS and assigns proper pay rates and POS features based on each staff member’s department. Eliminate “buddy clock ins” with the integrated Fingerprint ID. Add labour scheduling with our cloud web interface and enforce clock ins and clock outs to prevent your staff from taking advantage of early clock ins and late clock outs.